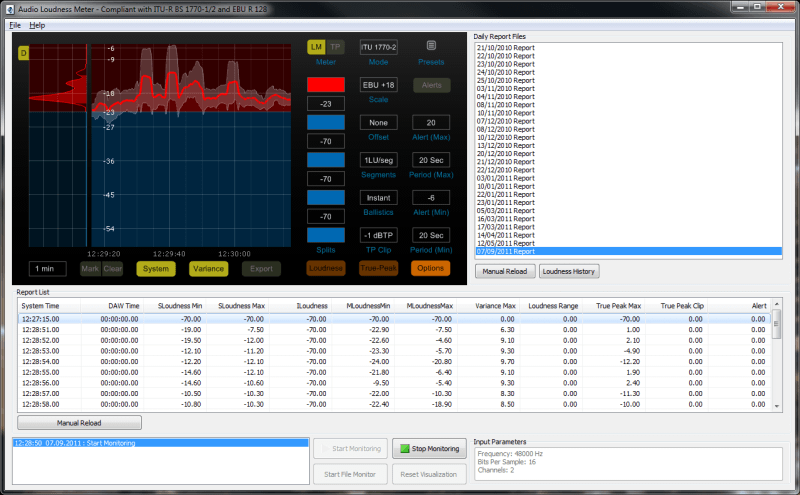 Audio Loudness Meter is a powerful solution for On-Air audio loudness metering and assessment. The product provides 24/7 loudness measurement compliant to ITU-R BS.1770-1, ITU-R BS.1770-2 and EBU R 128 recommendations. In intuitive interface, the solution provides the user with the ability to observer and measure the true peak level and to log the measured audio levels information. Both, file-based and live audio loudness measurements are supported by the product. Any DirectShow compliant audio input device can be used for live audio source. The supported input audio parameters are enumerated and available for configuration through the Audio Loudness Meter Properties form. File-based audio loudness measurement is also supported, where for the demultiplexing and audio/video decoding are used the installed on-system DirectShow demultiplexing and decoding components. All measurements can be monitored in real-time and are saved into a loudness history log, which can be accessed for later analysis and assessment. 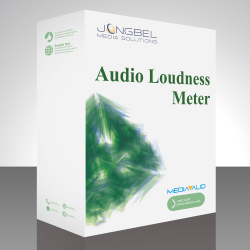 Not sure if Audio Loudness Meter is what you need?